The Schools of IB and MCB encourage our undergraduate students to pursue independent research projects with faculty. 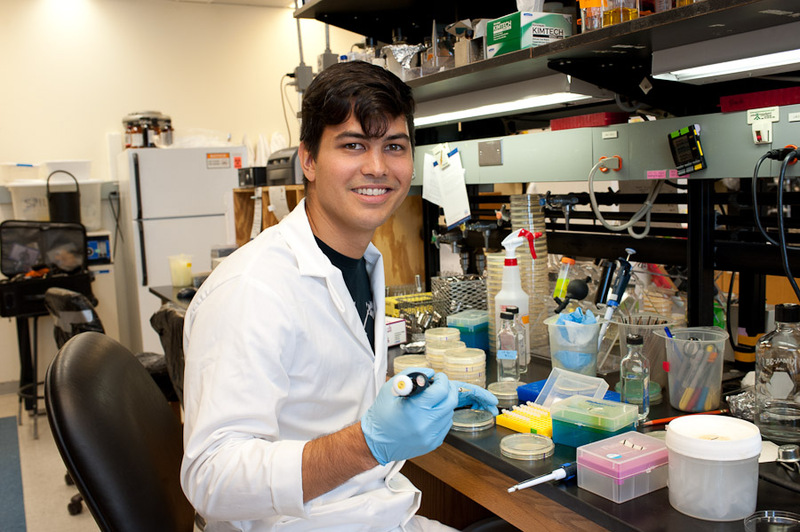 Students can participate in scientific research in a university laboratory under the direction of a faculty member to earn course credit and a grade for their contributions to the lab. Research may involve anything from collecting data in the field to doing experiments in the lab. It may involve assisting a faculty member, postdoc, or graduate student with ongoing experiments or may involve independent research no one has ever undertaken before. Learn more about research opportunities in Integrative Biology and Molecular Cellular Biology on our web sites.